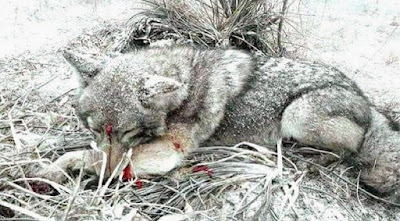 Over the many years I have been traveling into the outdoors and wilderness, both backpacking and vehicle trips, I have been packing canned goods, frozen foods, dehydrated foods, snacks, you name it, and I have probably taken it. Sixty years with my parents, brothers, friends, family, and by myself. From age 7 to age 67, I plan on doing it for at least another 20 years, Lord willing, though it will change with age at to the distance traveled and toughness of the climb. During all this I have seen changes in the equipment used for food available to be packed and how that food has decreased in weight and preparation. All for the good of the hiker! 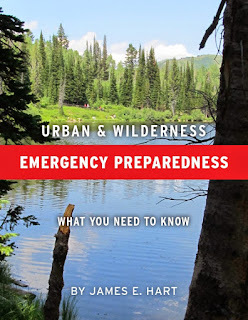 While I have written books on survival and wilderness emergency preparedness, I have never made any claims on nor reviewed specific brands, leaving this up to the judgement of the individual. All tastes and finances being different. Individual serving sizes varied widely from company to company, so be sure to check this out when choosing which brand you want. Some also give you servings that ranged from 1/3 cup up to 1½ cups, and from 150 calories up to 500 calories. This means that one company’s serving was actually triple the size of another’s. Two better measures to use are a cost per pound comparison (similar to shopping at a grocery store) and a cost per calorie comparison. These two measurements tell you how much food you will get and at what price. To determine the best value I strongly suggest you purchase a package based on overall cost per pound and not on the number of servings provided. The common recommendation for an adult is about 2,000 calories per day but it depends on each individual’s needs. When I called different companies, most of the salespeople were quick to quote us their version of a 3 or 6-month supply; these quotes are typically based on three-a-day servings. However, further research revealed that most of these packages only provided 600 calories per day. This is a simple but misleading way to calculate food needs. First, determine how many calories you and your family would need each day and decide the length of time for which you want to be prepared. Next, find the package that will provide adequate calories for your family’s needs. Beware of packages that advertise certain lengths of time because these can be misleading. Find out how many calories are included to accurately determine how long it truly will last for your family. Companies are limited in what they can show you on their websites because there isn’t enough space to provide all the information you need to make an educated decision. Often the information you need for a fair comparison is either hidden in obscure locations on the site or not available. By calling the company you can get answers to your specific questions, however, be wary of commission-based sales personnel; they may have additional motivation to close the sale. For the most part, these customer service representatives want to help you get the best products for your individual needs. For example, when we called a reseller of Legacy Food Storage, their customer service agent offered to customize our order for us. This was something that was not advertised on their website. Overall, we found most of the customer service representatives to be very helpful. If you are not fond of high pressure sales tactics, we recommend sticking with the top 4 ranked companies listed, since there was no pressure to purchase from them. Each company is happy to provide you with more information; in some cases they will even cater to your specific needs and provide options not available on their site. 1. To get the best value, shop like you would at a grocery store by comparing cost per weight rather than cost per serving. 2. Determine your family’s food storage needs based on calories, not servings, and make certain your supply will actually last for as long as you have planned. 3. Call the company for specific information and options not available on their website; almost all companies are happy to help you find exactly what you want. I ran across this as a post to my Facebook page and plan to try it on my next adventure, I have heard of them and never tried it. 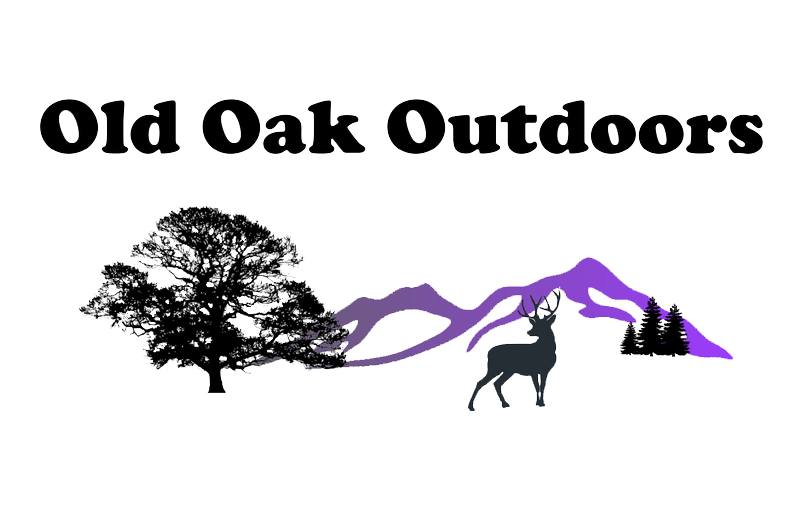 I am going to order a 30 day supply and plan to do a 2000 calorie per day for that 30 days before and daily during the adventure because it is a FORCED HIKE of about 1100 miles over the OREGON TRAIL, the toughest part. For storage, calories, ease of taking it, as a supplement, packing it for your Bug Out Bag, or Emergency, complete daily caloric intake, and cost it rates number ONE for me. The Survival Tabs has a long history. In the 60's the Federal Government was searching for a food source that could be used in specialty situations. The objective was the ﬁnd a product that would provide the best possible nutrition in the smallest possible volume. 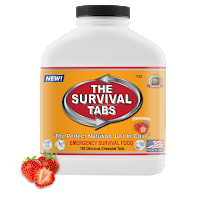 Survival Tabs are meant to keep you alive and going for months at a time. 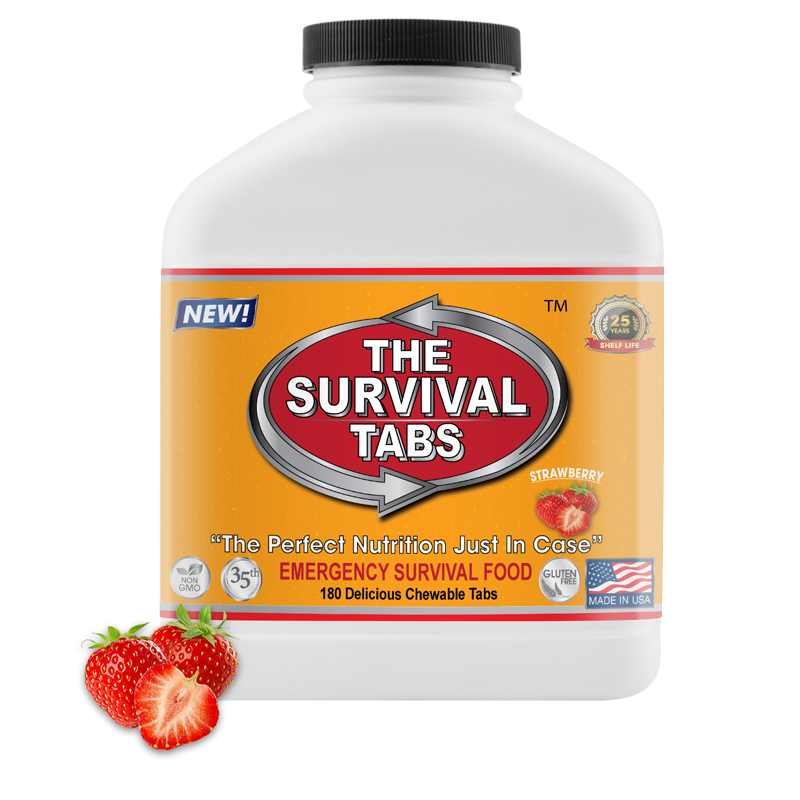 A person can survive 4-5 months by eating The Survival Tabs exclusively. One daily serving of 12 tablets contains 240 calories, which gives the body the basic daily nourishment required when the recommended calorie intake cannot be met. 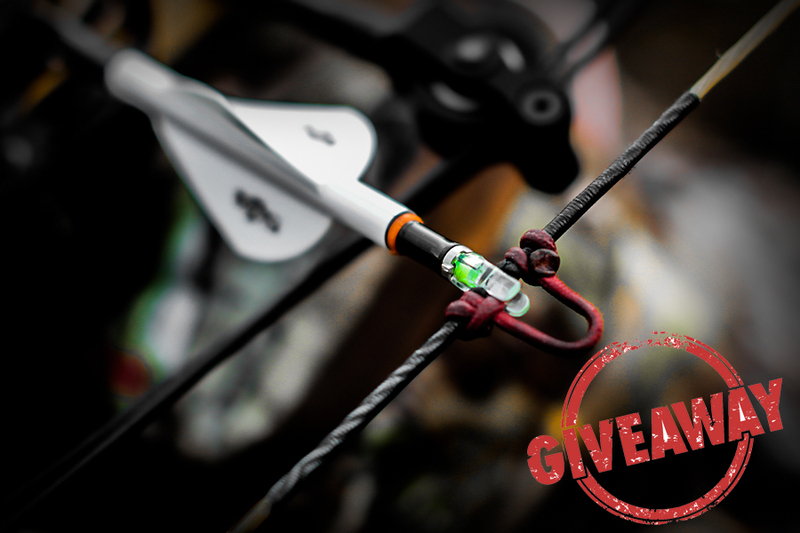 The Survival Tabs eliminate the need to forage for food in situations where you are lost, stranded, or trapped. Click here to know more about this product! In an emergency situation, one 180-tablet bottle of chewable tabs supplies a person with 15 days’ worth of survival food based on the recommended consumption of 12 tablets per day. This can be stretched to a 30-day supply under extreme conditions. The Survival Tabs remain usable for 90 days once opened, before losing their efficacy. They have an unopened shelf life of 10 years. This makes them ideal to store in preparation for natural disasters. With the cost of packaging and advertising that the commercial producers have to charge plus the shipping and delivery times, it might be wiser to just do your own dehydrating of your own fresh fruits and vegetables. The cost now of dehydrators has gone down to around $100.00 for a small unit, and over time you can quickly amass a pretty good supply of stored food. If you grow a small garden you can cut the cost of the vegetables and fruits tremendously. There are also plans on the internet to make your own solar dryers that allows you to save on the electricity bill while still dehydrating meats and vegetables. You can also buy canned fruits and vegetables and dry them but be careful when doing this to make sure you are not buying ones with added chemicals and mark all your sealed bags with the date you sealed them and an expiration date. Handle all food with sterile gloves while processing it and until it is sealed with the vacuum sealer. That’s all I have for now. Enjoy! Stay Safe, and Have Fun!